Sensitivity analysis is a variation on scenario analysis that is useful in pinpointing the areas where forecasting risk is especially severe. 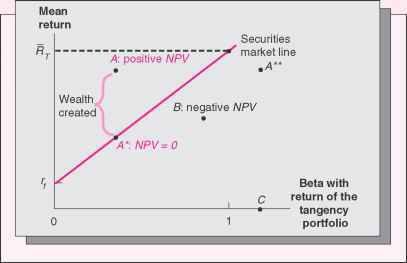 The basic idea with a sensitivity analysis is to freeze all of the variables except one and then see how sensitive our estimate of NPV is to changes in that one variable. If our NPV estimate turns out to be very sensitive to relatively small changes in the projected value of some component of project cash flow, then the forecasting risk associated with that variable is high. Sensitivity analysis is a very commonly used tool. For example, in 1998, Cumberland Resources announced that it had completed a preliminary study of plans to spend $94 million building a gold-mining operation in the Canadian Northwest Territories. Cumberland reported that the project would have a life of 10 years, a payback of 2.7 years, and an IRR of 18.9 percent assuming a gold price of $325 per ounce. However, Cumberland further estimated that, at a price of $300 per ounce, the IRR would fall to 15.1 percent, and, at $275 per ounce, it would be only 11.1 percent. Thus, Cumberland focused on the sensitivity of the project's IRR to the price of gold. To illustrate how sensitivity analysis works, we go back to our base case for every item except unit sales. We can then calculate cash flow and NPV using the largest and smallest unit sales figures.